Electrical distributors making the most of their EDA benefits in 2017 were announced in front of more than 150 senior wholesalers and manufacturers, who gathered for a day of networking and ideas exchange at the recent annual EDA Summer Event. 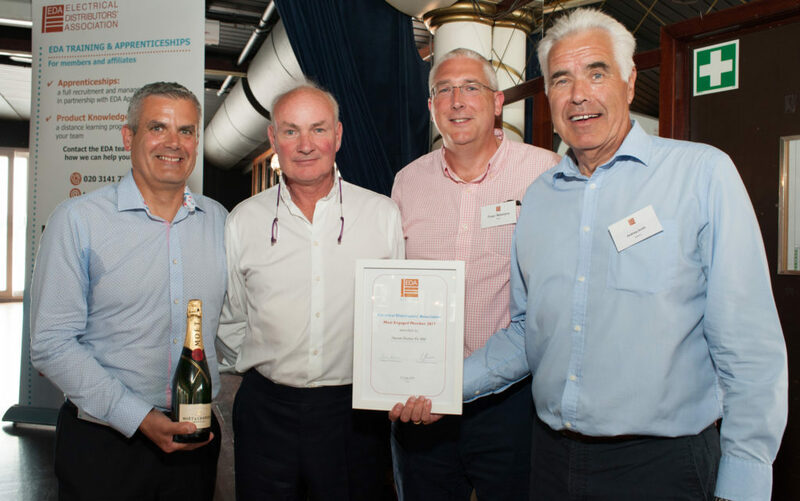 Stearn Electric Company Ltd was named most engaged wholesaler, with Prysmian Cables & Systems Ltd, Deta Electrical Company Ltd and Gewiss UK Ltd sharing the top prize for the most engaged EDA affiliates. “The ACI is the only cable market surveillance company in the EU and wholesalers can assist in cleaning up the cable market by telling us if you suspect a product is non-compliant. We urge you to order from trusted manufacturers and not to put profit before reputation,” said Peter Smeeth, Director of the Approved Cables Initiative (ACI) and Secretary General of the British Cables Association (BCA). “The LIA continues to put product safety, performance and quality at its heart. That’s why only 2 out of 20 manufacturers who apply for LIA membership meet the standards we set and earn the right to use the LIA brand,” said Steve Davies CEO at the LIA. “BEAMA is calling for increased co-operation between the supply-chain associations, and we’ve already had Board-to-Board discussions with the EDA on a wide range of subjects but particularly the key themes of digitisation, connectivity, and interoperability,” explained Terry Rowbury, Member Services Director at BEAMA. 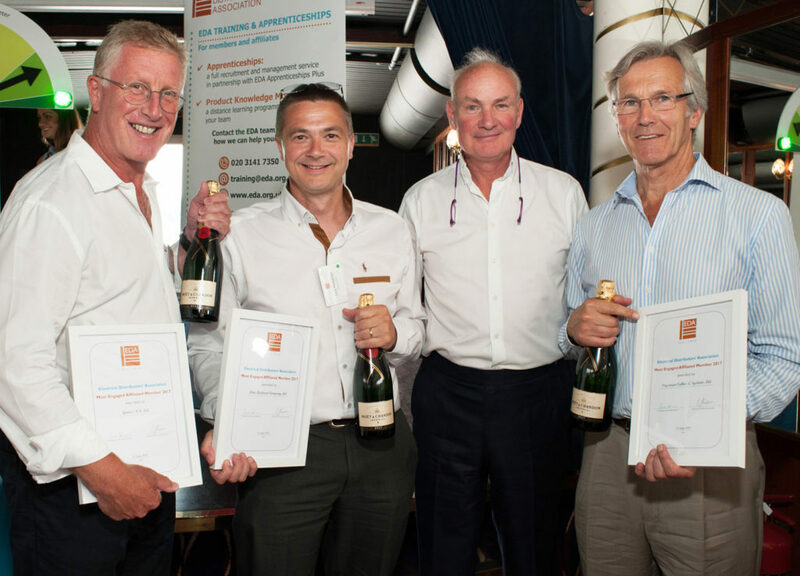 Pictured above: The Stearn winners: Charlie Lacey, MD at Stearn Electric Company Ltd; Simon Barkes, President of the EDA and MD at BEMCO; Fraser Ballantyne, Commercial Manager, Stearn, and Andrew Smith, National Account Manager at Stearn and EDA Education & Training Ambassador. Pictured below: The Affiliate winners: Gerry Barnett, MD at Deta Electrical Company Ltd, Gary Humphreys UK Sales Manager at Gewiss UK Ltd; Simon Barkes, President of the EDA and MD at BEMCO; Peter Smeeth, Director of the ACI and Secretary General of the BCA collecting the engagement award on behalf of Prysmian Cables and Systems Ltd.